This world wouldn't be the way it is as we know it if it weren't for bash marketing, myths, and unverified claims surrounding us. 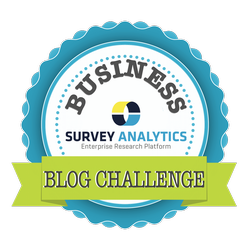 Today's post of the Business Blog Challenge is to take a long standing myth about your industry and debunk it. The Myth: DIY research is not as effective as outsourcing or hiring a consultant. A lot of researchers out there often use bash marketing and say doing your own market research DIY style is the path to “destroy-it-yourself.” But really, when doing DIY research it all depends on the context and information you are trying to gather and from whom you are trying to gather from. And, the resources you have available to manage it. Sure, you may be better off just outsourcing it all to a professional. We can all agree that just throwing a person at a problem you are having is not an effective solution. DIY research works great especially for those involved in marketing, user research, user experience, customer satisfaction, customer loyalty and so on. If you can’t reach out and gather feedback from your own users or existing customers, how will a third party business be able to get through to them any better? What often goes wrong in DIY research? A lot of the argument is that when performing DIY research, the sample is not representative. Response bias from a poorly represented sample can be dangerous when making a major decision from the feedback you gathered. Respondent fatigue can also happen from asking the same questions over and over again and deliver an non personalized user experience. Despite all of these things, there are in fact many companies conducting majority of their market research in house successfully and using the information to make better business decisions. 31% of research professionals across many different industries from our SurveySwipe product evaluation survey claim they manage majority of their research in house. Don't let it discourage you. There is only room to learn something and improve from a bad or failed effort. With clear goals defined of what you are looking to collect from the very beginning, you can do it yourself. Think concept and methodology before the technology you will use. All of these things previously mentioned shouldn’t discourage you from doing it yourself. You just need to learn how to make your surveys work for you and not against you. Like anything else, you learn through trial and error, and you likely wouldn’t weigh a million dollar or more decision on your brand new feedback initiative on the first run - anyways. Appropriate design and organically growing your respondent base yourself or through professional sample acquisition are your best bet. The days of SPAM are over and we are finally being forced to do things the way they should have always been, by only sending things to people who are expecting to hear from us. Businesses must shift to accept that quality of response over quantity is the only way we can win today and moving forward. Your response rates and results will thrive. With the appropriate software and the right sample company, you can still clearly find the information you are seeking on anyone! The best way to perform DIY research on your brand advocates, users or customers is to build your own panel, consistently gather feedback and act on the responses. And in alternative, the best way to perform DIY research and get overall market information and make claims on consumers is to have a professionally managed, targeted consumer insights panel provider to help design and send your survey or acquire a niche third-party representative sample that has opted-in to give their feedback. Our friends at qSample can help you get respondents from even some of the most niche groups like voters, contractors, gamers, boomers or just the general population.